Born on 27 November 1957 in Hanover (Germany), Brigadier General Martin Konertz joined the German Federal Armed Forces (Bundeswehr) in 1976 as an officer candidate. He stayed there until 1989 as a signals (electronic warfare) platoon leader and company commander and, during that time, also earned a degree in electrical engineering at Bundeswehr University Hamburg. From 1989 to 1991, he attended the General Staff officers’ training at the Bundeswehr Command and Staff College in Hamburg, before serving as Adviser for NATO-related issues at the Federal Ministry of Defence in Bonn from 1991 to 1994. In the following year (until 1995), Martin Konertz followed courses at the Royal Military College of Science (Cranfield University, UK) which he concluded with a Master of Sciences in Defence Technologies. From 1995 to 1996, he served in the 37th Light Infantry Brigade as Head of Operations in Frankenberg, Saxony, before becoming the Commander of the 5th Headquarters and Signals Battalion in Koblenz (1996-1998). From 1998 to 1999, Martin Konertz worked at the German-American V Corps in Heidelberg as Head of the German Delegation before becoming Press Officer for the German Army Chief of Staff at the Ministry of Defence in Bonn (1999-2001). From 2001 to 2003, Martin Konertz served at the 10th Armoured Division in Sigmaringen as Head of Operations, including six months as ACOS OPS MNB(SW) KFOR. Afterwards, he spent a year (2003- 2004) at the Ecole Militaire in Paris, where he followed a CHEM/IHEDN course. In August 2004, Martin Konertz was appointed as Deputy Commander and Chief of Staff at the Strategic Reconnaissance Command in Rheinbach where he stayed until November 2008, before being promoted to Deputy Defence Adviser at the Permanent Delegation of the Federal Republic of Germany to NATO in Brussels. 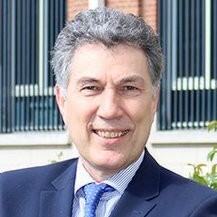 From August 2011 until his appointment at the European Defence Agency, he served as Branch Chief Multinational Defence Planning at the German MoD in Bonn. Brigadier General Martin Konertz was awarded the Gold Cross of Honour of the German Bundeswehr, the Non Article 5 Medal of NATO and the German Bundeswehr Foreign Duty Medal.